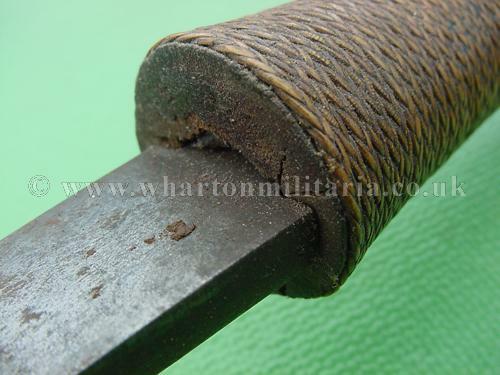 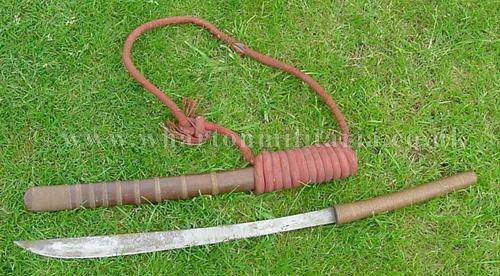 An interesting sword from the far east, came from a Marine Commando who took it from Chinese Pirates in the 50s, well made and nicely balanced in the hand. 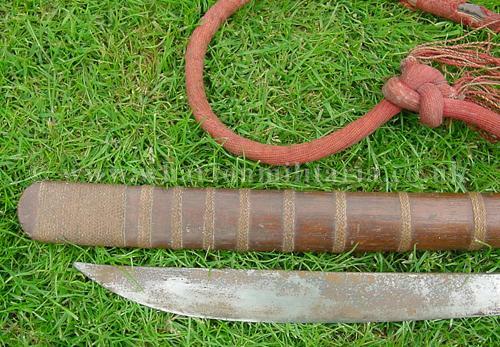 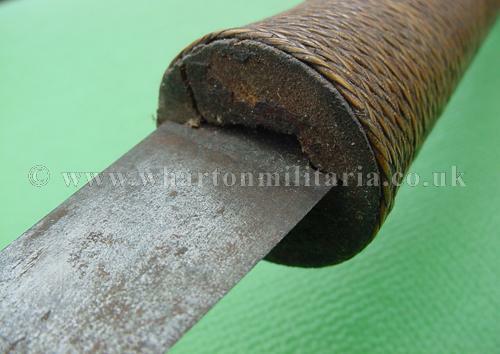 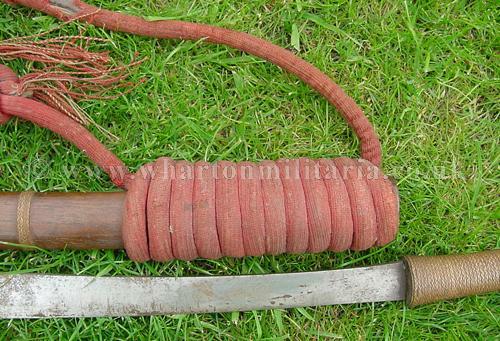 Sword has no makers marks that are visible, blade length 20.5 inches, overall sheathed length is 32 inches. 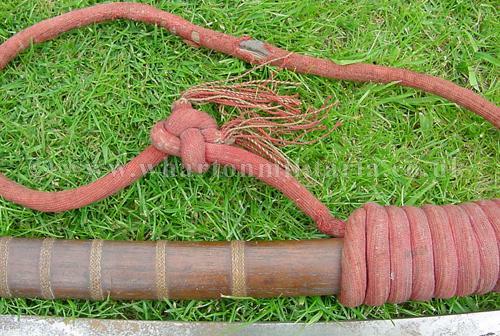 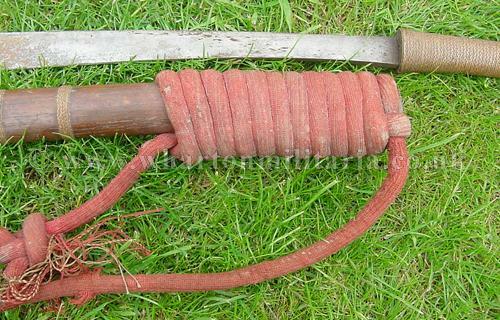 Wooden scabbard that is decorated with fine wooden bindings in the same manner as the sword grip. 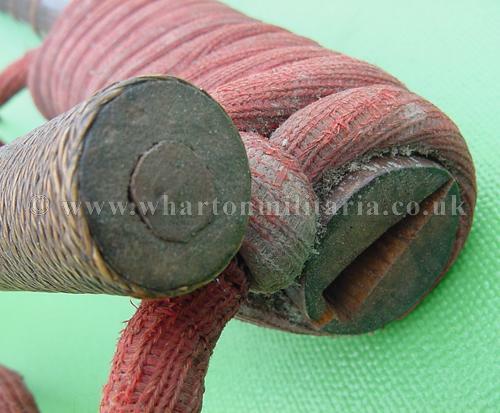 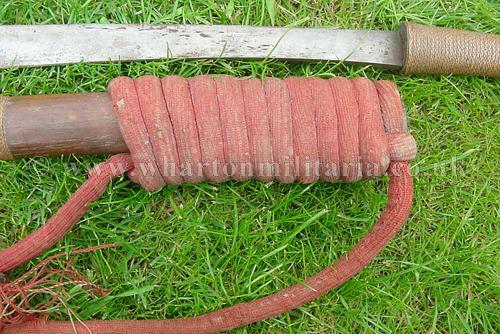 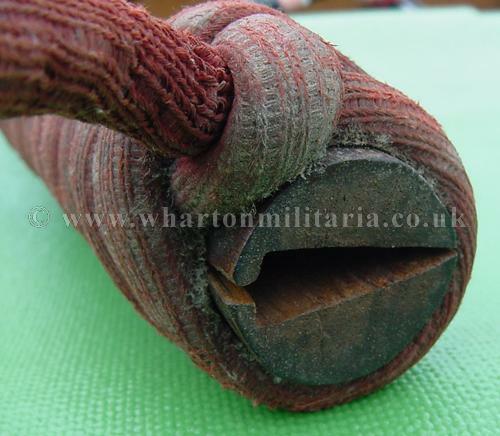 Scabbard has a red cord wound about it as a carry strap. 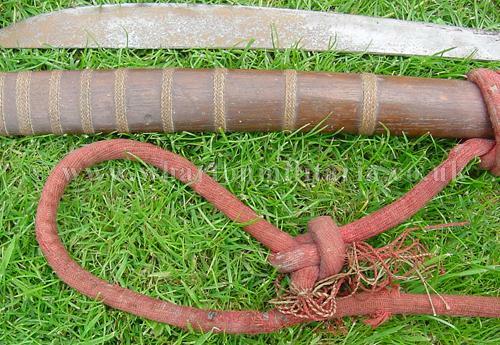 An intriguing sword with a history no doubt!